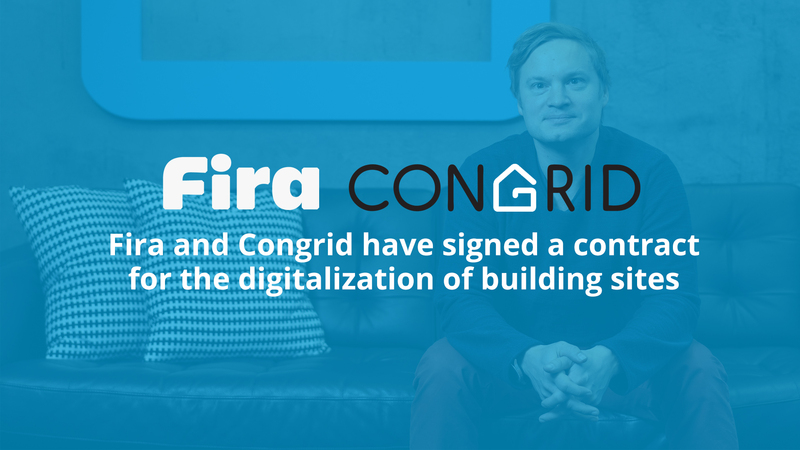 “Congrid has worked closely with Fira since 2013. Results of our collaboration show how the challenges of digital communication can be solved when parties have ability and will to improve and develop”, comments Timo Makkonen, Congrid’s CEO. Congrid was the first widely deployed application at Fira’a sites. Together with Fira’s application Sitedrive and Insite, Congrid was the first to be integrated into Fira’s Open Data Platform. ODP maintains the project data on construction site and integrates all construction related core applications under the same roof. “Real value of integrating the applications is in visualised data that is collected from various sources. It provides situation awareness to the project team and partners”, says Otto Alhava, Fira’s CTO. “Our goal is to commit all contractors to use CongridLITEfor collecting data from the sites”, comments Jouko Soidinaho, Fira’s Quality Manager. Fira’s quality management is basedon a solutionfrom Congrid, which provides both cloud-based platform and mobile apps for everyone working on site. “Our goal is to help everyone to understand and care about construction quality. Congrid’s solution is designed to support transparency and stakeholder involvement”, Timo Makkonen explains. “We have already developed a better understanding for quality costs and amount of rework on our sites using Congrid. We aim for developing productivity further by providing this information in usefull form for our trade partners and procurement”, Otto Alhava comments.